Pumapungo was a capital of the Incan Empire. 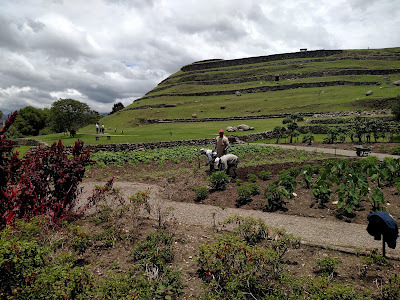 Meaning "Puma's Gate," it's now an archaeological site in Cuenca, Ecuador, and the perfect place to learn more about ancient Andean agriculture. 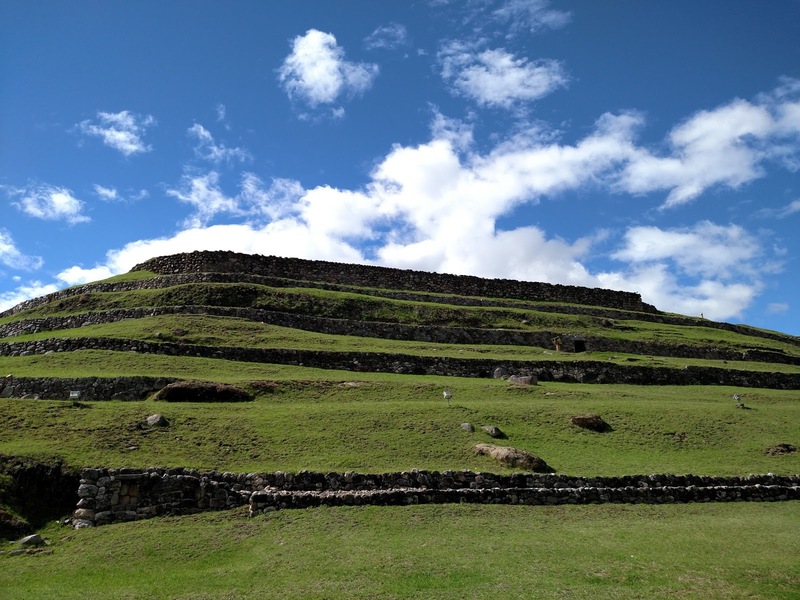 Many of the site's terraces and irrigation canals remain intact 600 years later. Many of the original gardens and ponds have been reconstructed. 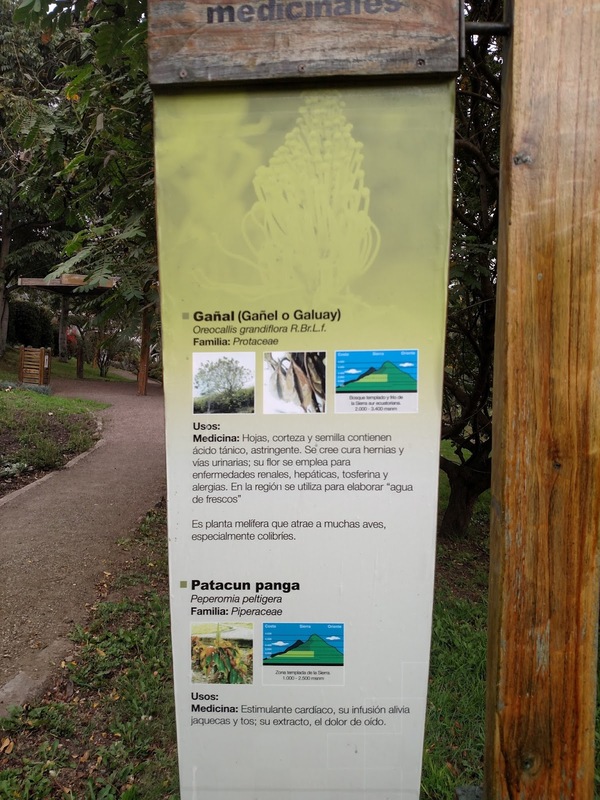 Also on site is an arboretum filled with plants cultivated by the Incas and the local Kañari people. Categorized by the plants' uses—medicinal, industrial, ceremonial—the large collection demonstrates the natural wisdom of these ancient civilizations. 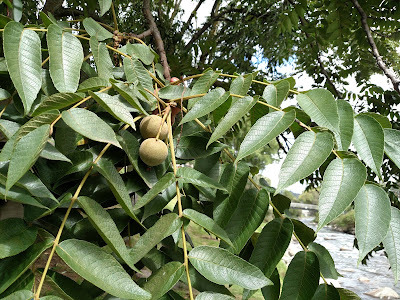 Many plants fall into multiple categories, such as the Nogal or "Colombian walnut," which provided brown dyes, respiratory remedies and a source of protein. Below I've compiled certain plants into a new category, one which may be useful for permaculturists or any ecologically-minded land stewards. These are the multi-purpose plants, ones that provide for human needs as well as ecosystem functions, ones that produce food and materials as well as fix nitrogen or control erosion or attract beneficial wildlife. 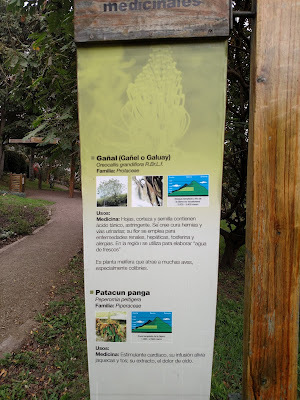 Some are even specifically identified as having agroforestry uses, according to the interpretive signs at Pumapungo. 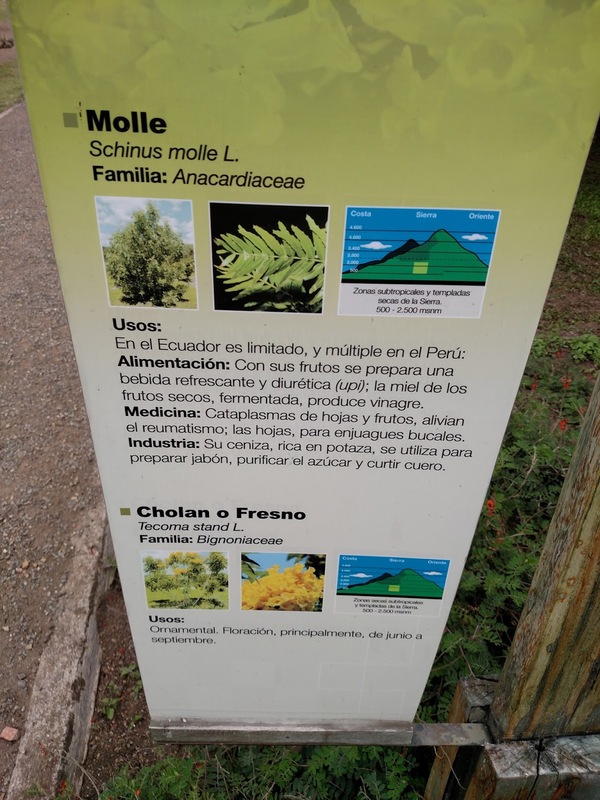 Those signs [unless otherwise specified with a link] provided most of the following info for this list: the Permaculture plants of the Incas. Beans are edible when cooked. Fast growing and easy to establish [Wikipedia]. Used in agroforestry systems to provide partial shade and windbreaks to sensitive crops such as sugar cane, coffee or cacao [Wikipedia]. 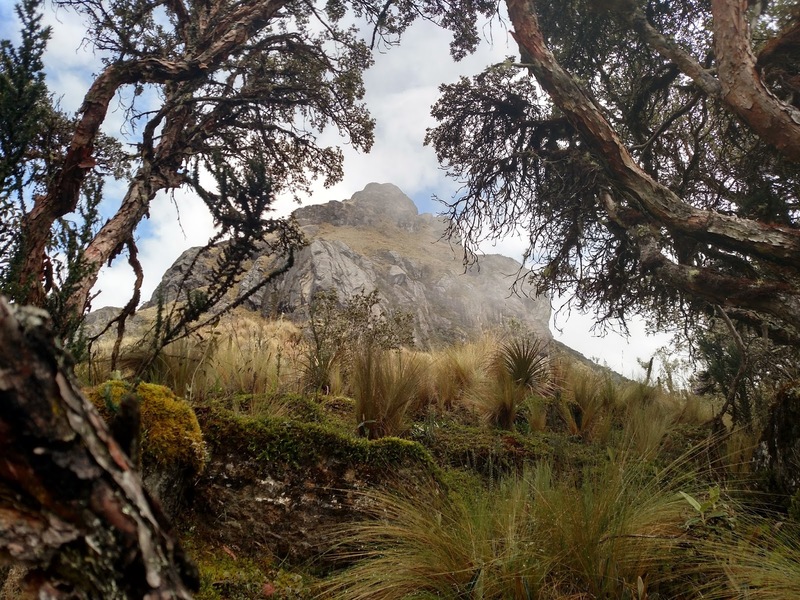 "The Incas called the people of this region Kañari after this emblematic tree." Leaves, bark and seeds contain tannic acid, an astringent, believed to heal hernias and ailments of the urinary tract. Flowers used for kidney disease, hepatitis, whooping cough and allergies. Also used to create a local variety of "agua frescas" (blended drinks with fruits and seeds). Wood used for carpentry [Wikipedia, Spanish]. Tolerates disturbance and spreads in response to human activity, i.e. pioneer plant. [Wikipedia]. Leaves applied to skin treat bruises or rheumatism. Flowers and resin used in a tonic as analgesics and pain relief during childbirth. 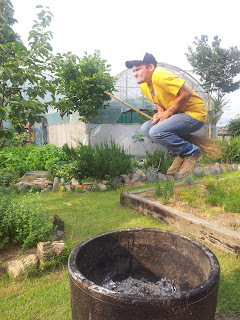 Fixes nitrogen, useful in agroforestry projects. Tension-resistant timber useful for fencing and woodcrafts [Wikipedia]. Chachakuma (escalionia myrtilloides) by the ponds of Pumapungo. 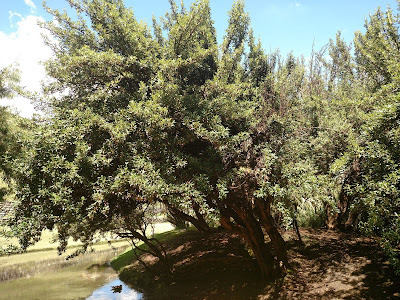 Kinhua (arbol de papel) - polylepis spp. Bark treats respiratory and renal ailments [Wikipedia, Spanish]. Kinhua, or "paper trees," at Cajas National Park. Fruits make a refreshing and diuretic drink. Its honey, dried and fermented, produces vinegar. Rubbing on skin repels mosquitos [Wikipedia, Spanish]. Ash is high in potassium, used for purifying sugar, making soap and tanning leather. May be a natural alternative to synthetic pesticides [Wikipedia]. A wine is made from the twigs and another from the berries. A gum that exudes from the bark is used for chewing. Dried and roasted berries are used as a pepper substitute. 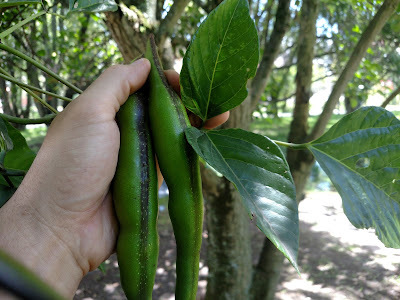 The fruits are pulverized and used in cooling drinks called 'horchatas' in S. America. An oil distilled from the fruit is used as a spice in baked goods and candy [PFAF.org]. 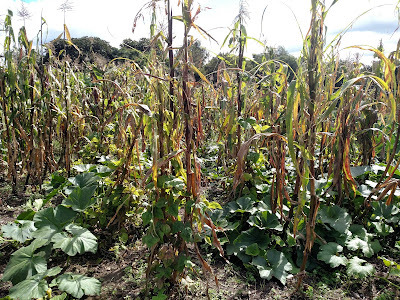 Corn, beans and squash—a common polyculture, or "Chakro." 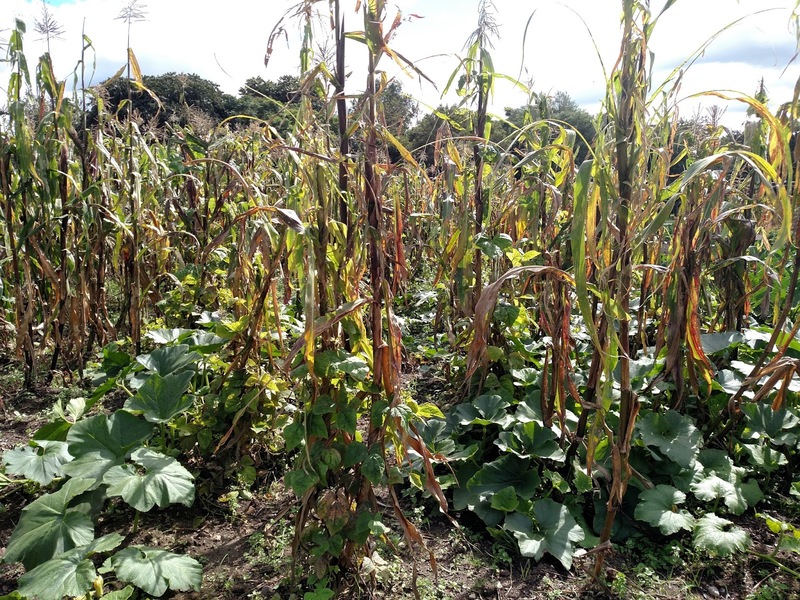 Hopefully some of the above plants may be useful to practitioners of sustainable agriculture. 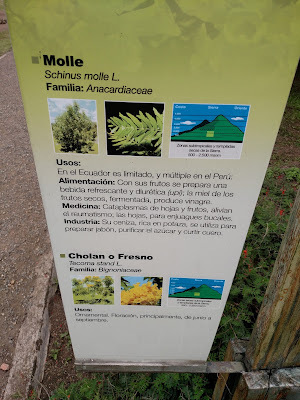 Hopefully we can rediscover some of this ecological knowledge of the "Incas" (which means "rulers" in Chechua, which Conquistadors mistakenly applied to the whole region). This knowledge allowed the region's many cultures, like the Kañari of Pumapungo, to farm here sustainably for thousands of years, and their descendants continue to do so today. The garden appreciates forests loaded with rhododendrons, camellias and magnolias, dynamic bushes and formal patio nurseries. Pentillie Castle's greenery enclosures are just open on particular days and their plantation was replanted with old Tamar Valley assortments of apple and cherry.